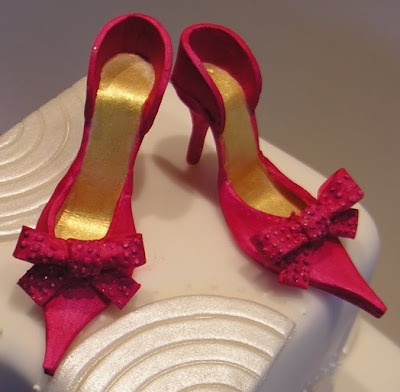 Sedona Cake Couture: Hot New Trend in Sedona Wedding Cakes - Sugar Shoes! Hot New Trend in Sedona Wedding Cakes - Sugar Shoes! The stunningly beautiful wedding of Jennifer Hanna and Adam Kempton took place at L'Auberge de Sedona on July 3rd, 2009. The incredible floral was done by eventsbyshowstoppers.com and the event perfectly co-ordinated by JB Bloomfield - sedonaluxuryweddings.com. We were honored to do this trendy new design in wedding cakes! Absolute perfection! I honestly love your creations -- they are simply AMAZING!